So as you may have seen over on Instagram I took part in a collab organised by @_nailgems_ to raise awareness for brain cancer. 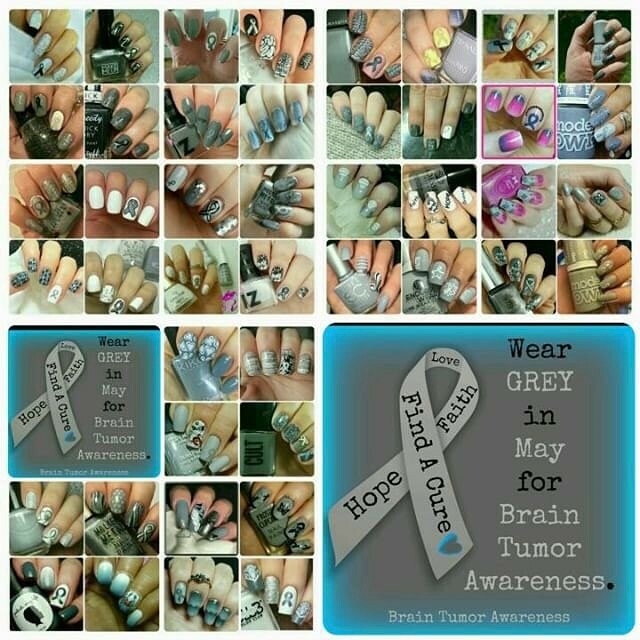 May is Brain Cancer Awareness month and a bunch of us ladies from the nail community came together to create grey manis in support. I felt this was a really important cause as I work with some clients with brain tumours to help support their communication. Everyone did such an amazing job and you can see everyone's design who took part by searching #nailingbraincancer on Instagram. Barry M: Wet Set Quick Dry Top Coat. I free handed the butterfly using the nail art pens and stamped the swirly design with a clear stamper and the Barry M foil polish. Love this mani and the collab. I didn't take part as I was too busy but I do love how everyone came together to support this cause.